Designing and Executing an efficient process by which you can attract people towards your product/service and eventually Convert them into Loyal Customers for Life. Even if the Client does not buy your product/service he must be Left with Impact of great customer service. The internet has come as a big boon one of the cost effective & best medium, the apt way for today’s world to Communicate, engage for promoting products/services. The social media takes a prominent role in developing your products over the internet. By using these processes, your products will reach the screens of each and every individual. The Conversion escalates the product’s advertisement still to the peak. There are 5 five types of conversion process by which you can experience the drastic improvement in your product’s fame. The engagement is one of the best types of conversion ensures long lasting towering fame of your products/services. This Conversion type included the promotion of the product over the social networking and media sites. The engagement deals with any of the action being done in the respective pages of the brand or the product. The actions in the sense it may be a like in Facebook or a Retweet in twitter. Thus a comment on Facebook will be very valid than a like in Facebook. Likewise, the Retweet in the twitter site carries more weight, when compared to a “mention” in the same site. Even a comment on the YouTube will play a major role in the promotion. Once if people do such activities on the respective pages they will automatically promote your brand name to their network of friends and so it has more importance than the other methods of the conversion. The e-commerce method of Conversion. Using this option, one can straightly direct a visitor of the social network into his product’s website as a buyer. The applications which are embedded in these websites will help the product owners to straightly sell their products to the customers. But these types of conversions are still in a starting stage and it is sure that these types of conversions will take the biggest part of the marketing in the near future. Lead generation is the process of collecting the data about the user, who is visiting your pages on the social networking sites. 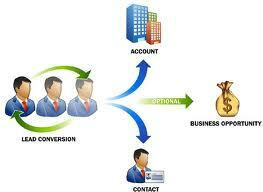 By this Conversion method you must collect the data such as the user id and email addresses. These addresses can be mostly collected by the events that are being conducted on those pages. Mostly these events will require the user’s email address to login by which you can get them. Using these id’s you can easily identify the places, where your products are being sold well. The service Conversion deals with the providing of useful information so that the visitor will be eager to visit the brand site. Thus the content you are sharing must provide some novel ideas or trends about your industry. The last type of conversion is the traffic. By using the conventional methods in the social media, you can get such traffic to your website. Thus, these types of conversions are the most vital things that you have to opt for escalating the advertisement and the promotion of your products.